Its shape makes it perfect for casseroles, stews and roasting, and excellent for preparing soups and rice dishes. Its die-cast construction also distributes heat more evenly, ensuring energy efficient cooking and perfect results every time. 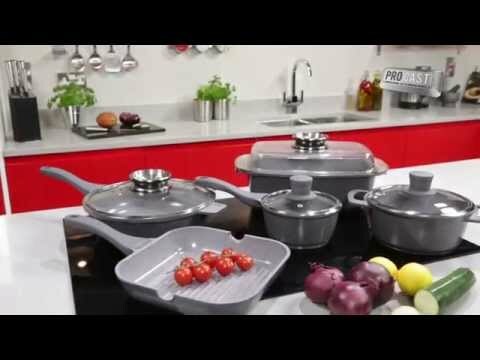 Note: These Pans are designed to work with the majority of induction hobs. However, induction hobs can vary slightly, so please check with your hob manufacturer's instructions to ensure the diameter and style of these pans are suitable.